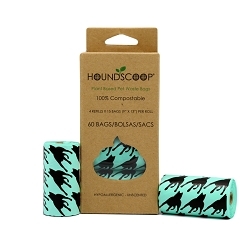 Houndscoop® 300 Count Pet Waste Bags are great to clean up after your dog and cleans cat litter too! 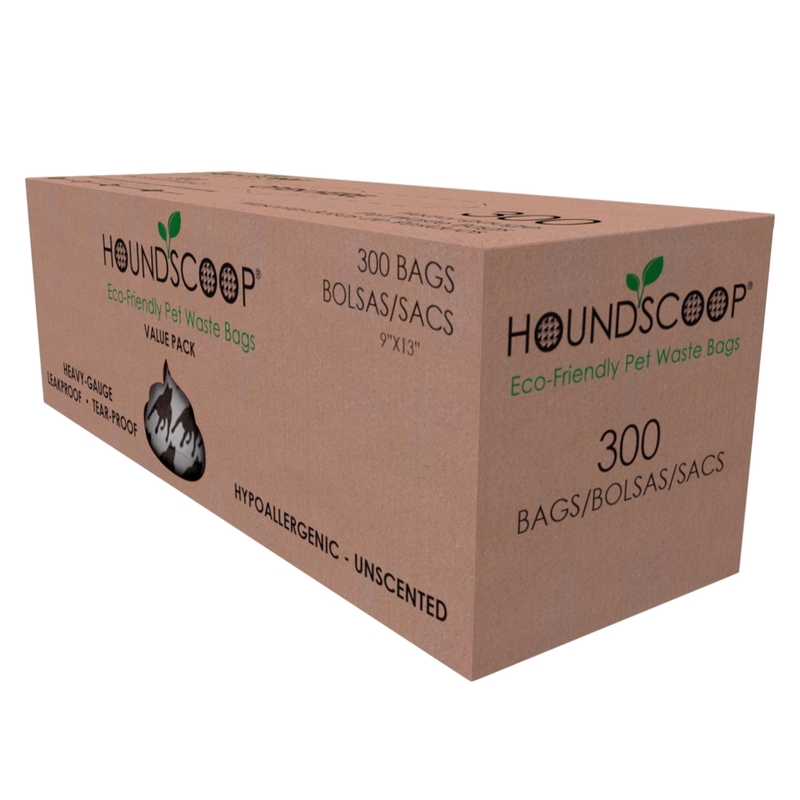 This value bulk pack comes with 300 bags that can be easily individually taken from the box as needed. 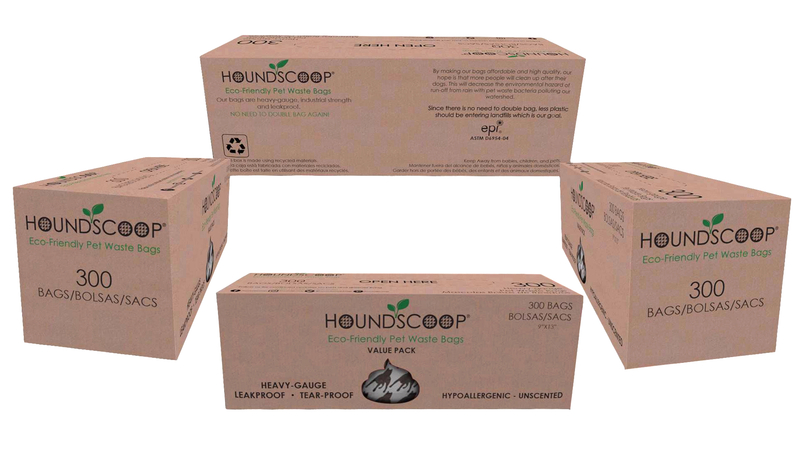 The box with bags is perfect for pantry storage to grab bags as you go. 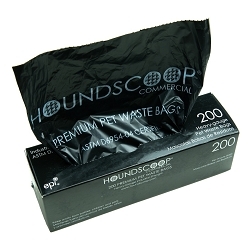 Our roll bag is so thick, strong and leakproof that it can also be used in a commercial setting with the box fitting most standard commercial stations. 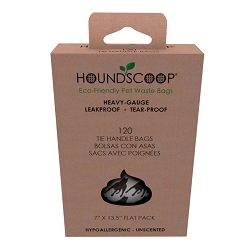 Due to their large size of 8" x 13" even the largest dog poops will fit securely. 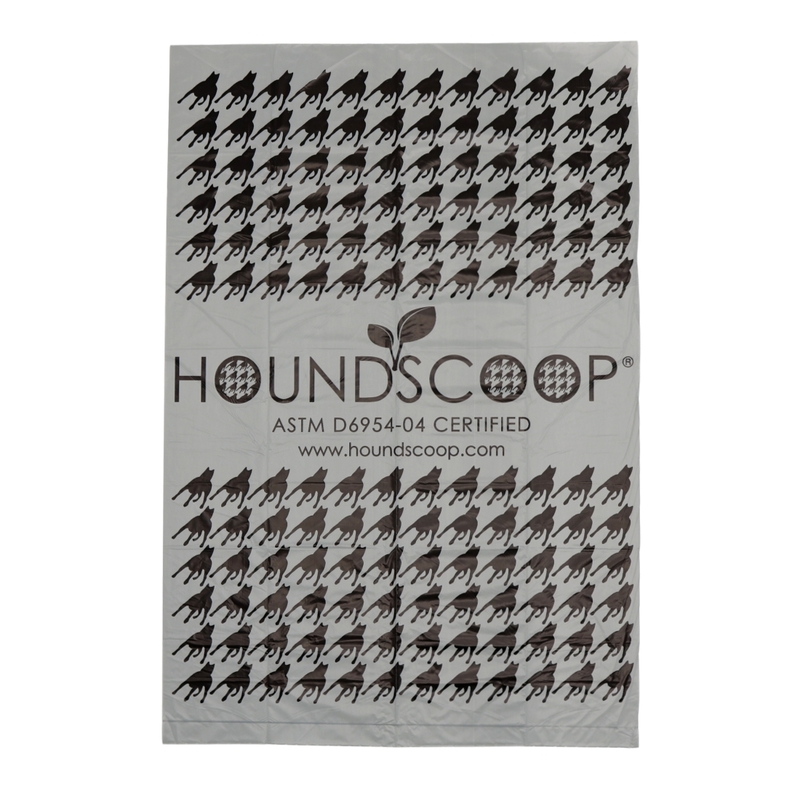 These bags are also great to use to clean up your cat litter. 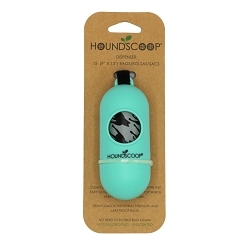 As a company that tries to be as earth friendly as possible we realize that people today not only want a quality product but they want to be more environmentally friendly in everything they do. 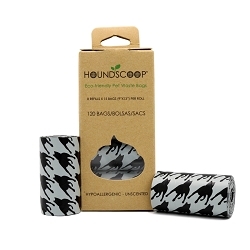 Our bags will allow you to feel more secure, and never need to double bag again which means less plastic going to the landfill! 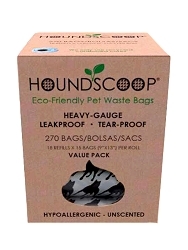 Our hope is that the quality and pricing of these bags will encourage more people to clean up after their pets which limits the environmental biohazard of bacteria from pet waste getting into our clean watershed from run-off from rain.